Indore: Maharaja Yeshwantrao Hospital(MY) is going to set up its first bone marrow transplant centre in the hospital premises. 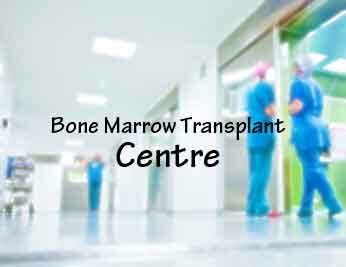 This would be the first centre of bone marrow transplant in a government hospital in the state. A bone marrow transplant is a procedure to replace damaged or destroyed bone marrow with healthy bone marrow stem cells. Bone marrow is the soft, fatty tissue inside your bones. The bone marrow produces blood cells. Stem cells are immature cells in the bone marrow that give rise to all of your different blood cells. A team of experts hospital planning and development led by Mumbai based hospital planner Dr Vinay Kothari along with PWD officials and hospital staff to prepare the project reached at Maharaja Yeshwantrao Hospital and inspected the proposed area and requirements for establishing bone marrow transplant centre reports Free Press Journal. The planning team also met Divisional Commissioner Sanjay Dubey after inspection and informed him about the plan. The new bone marrow transplant centre would be built on fourth floor of the hospital. Speaking with media, Sharad Thor informed that planning team will present its design in a week and work will start after that.